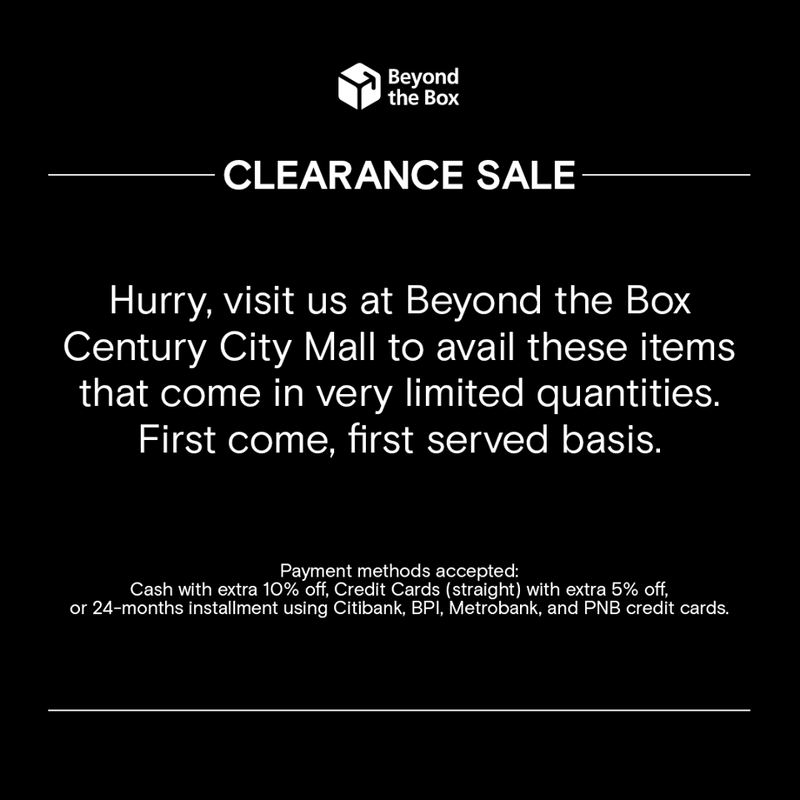 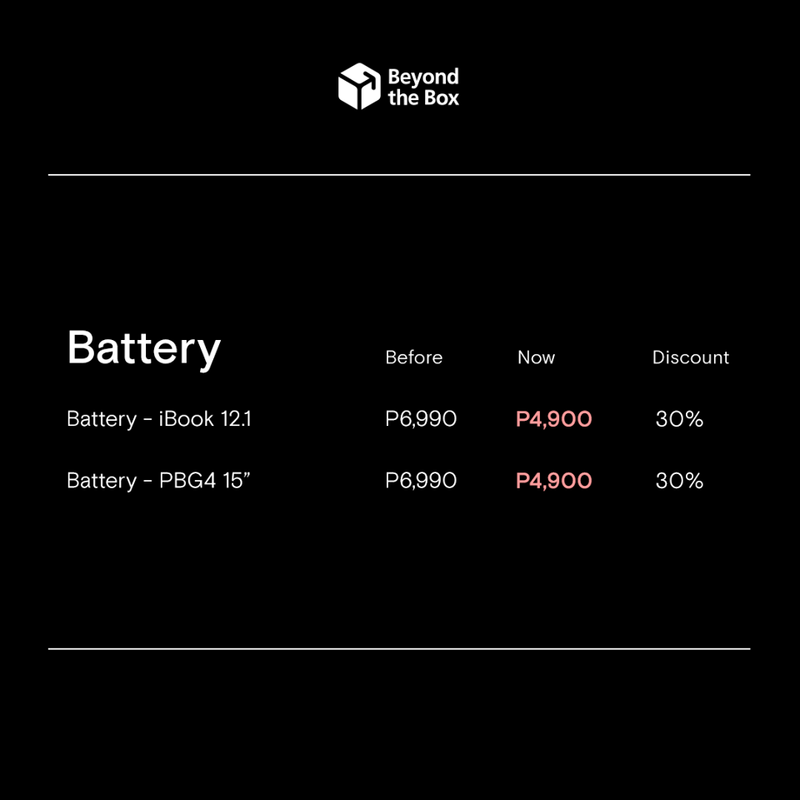 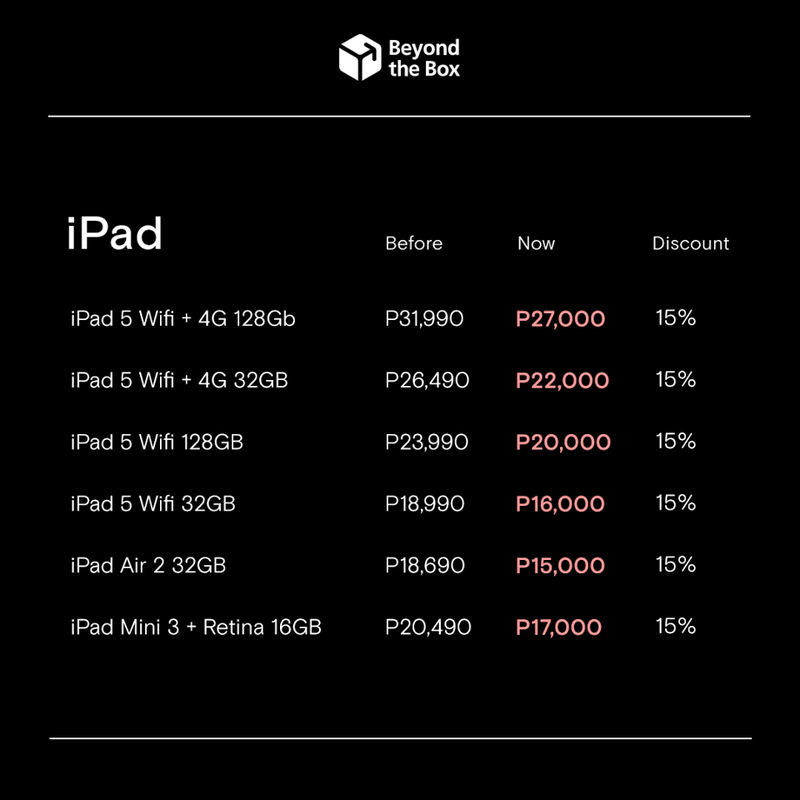 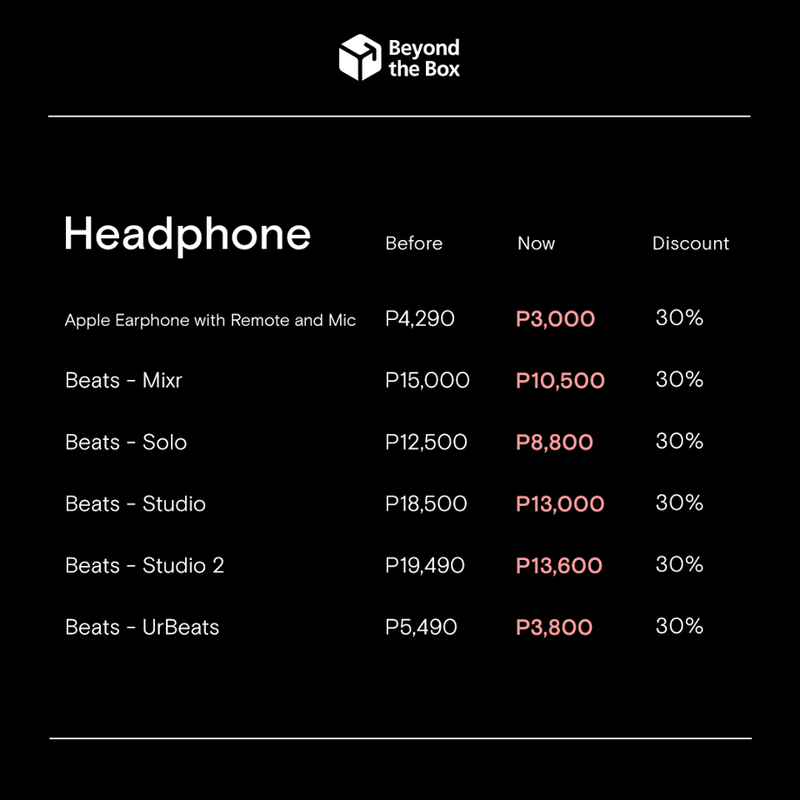 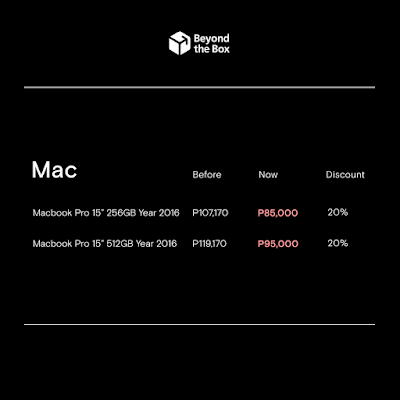 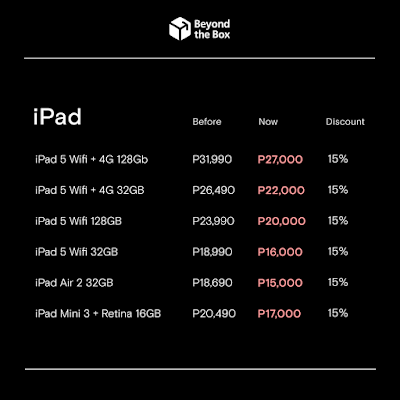 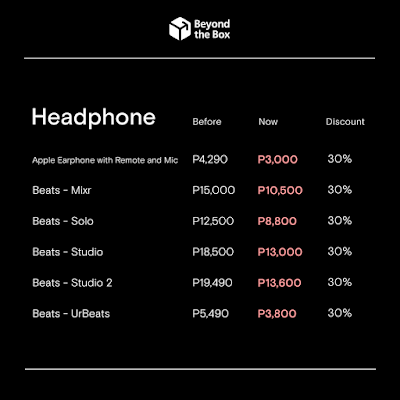 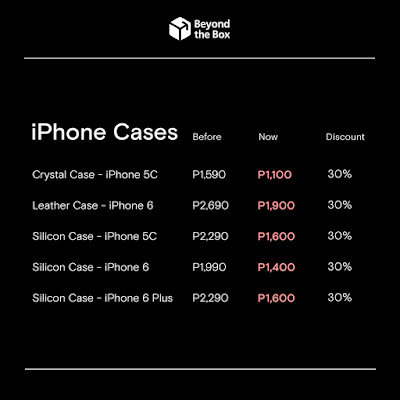 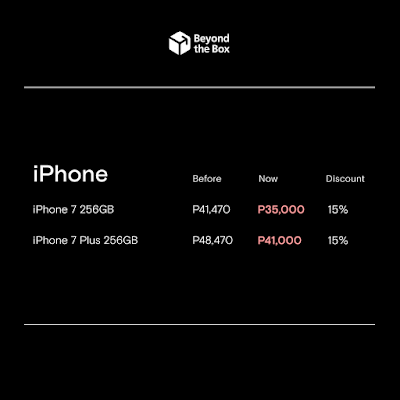 Check out Beyond the Box Century City Mall Clearance SALE! 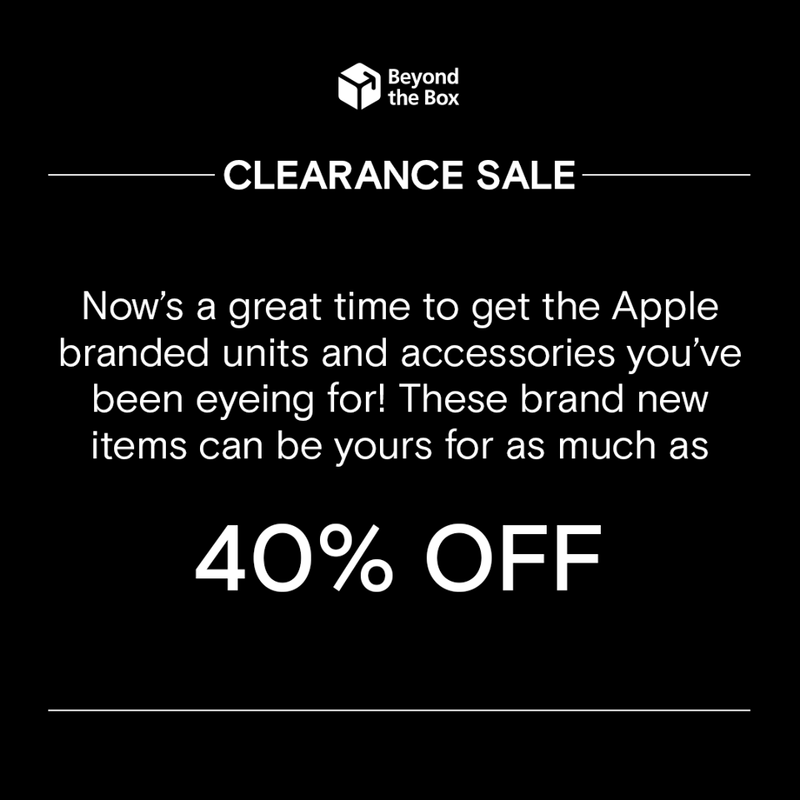 Now’s a great time to get the Apple branded units and accessories you’ve been eyeing for! 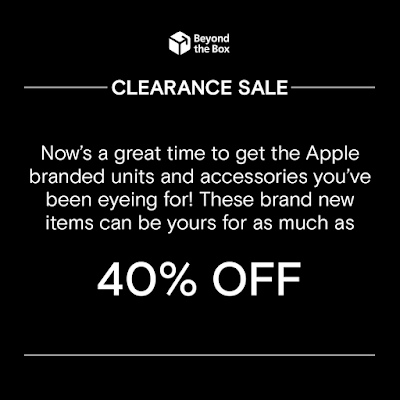 Enjoy as much as 40% OFF on selected items! 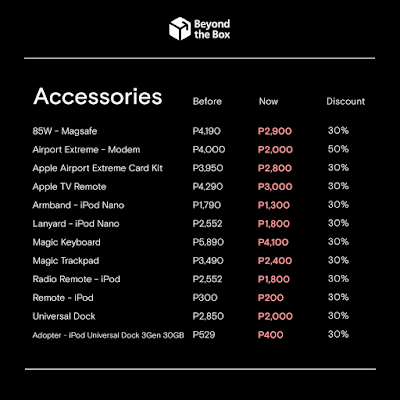 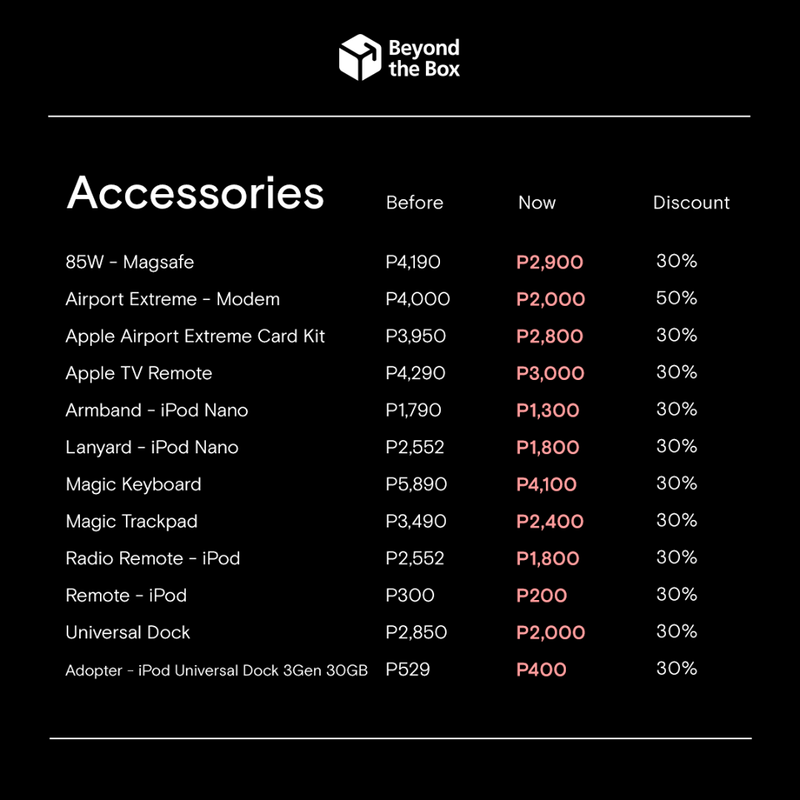 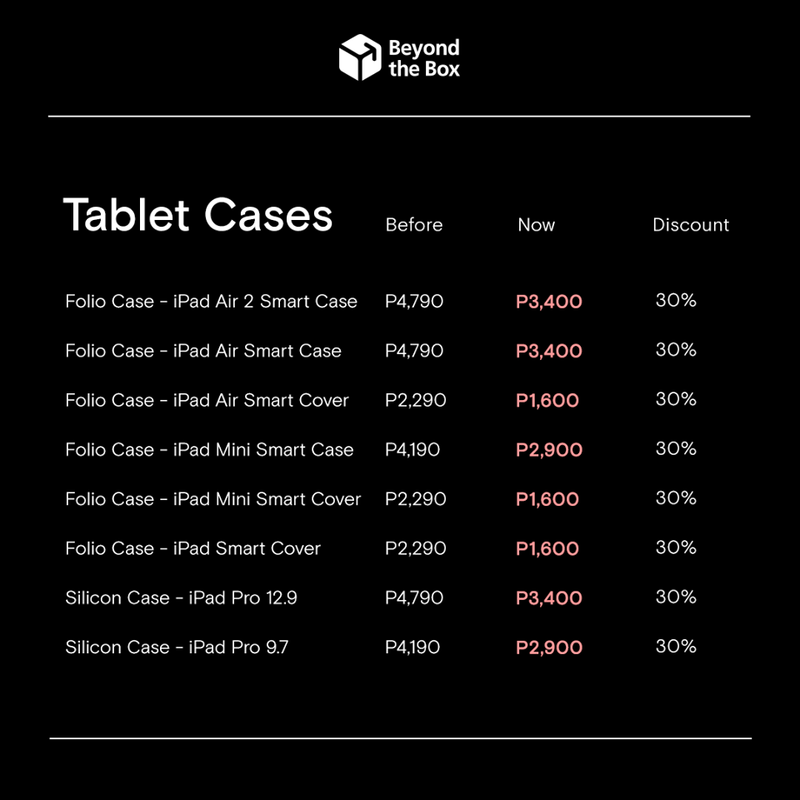 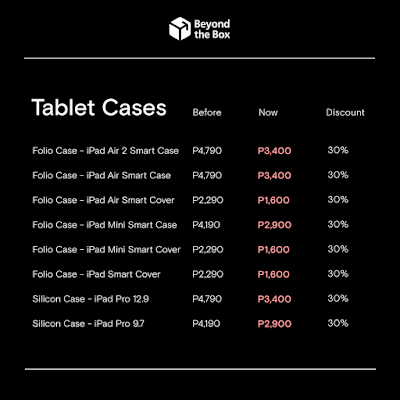 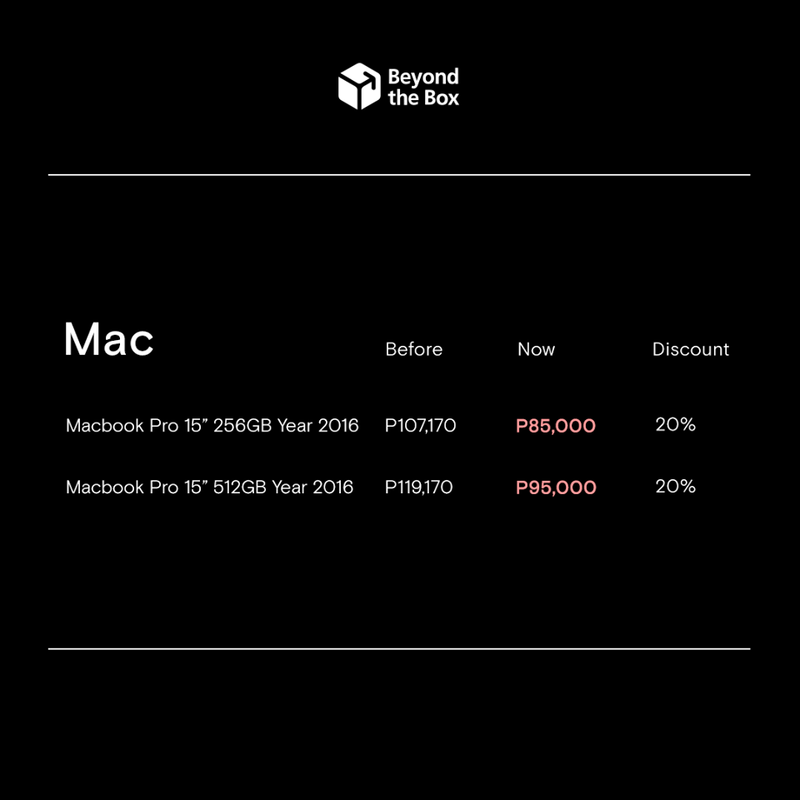 Hurry, visit Beyond the Box Century City Mall to avail these items that come in very limited quantities. 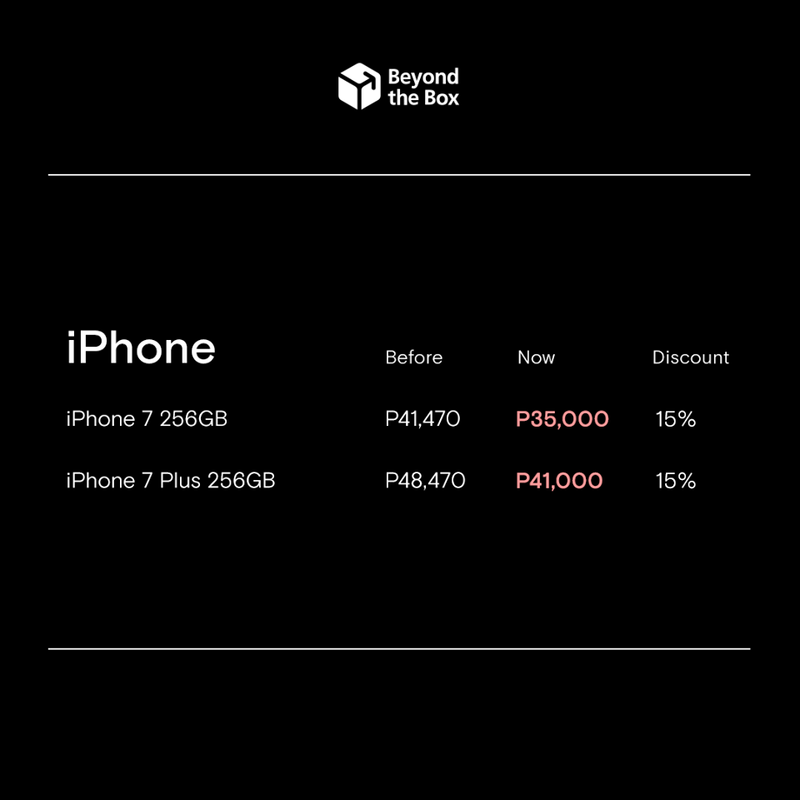 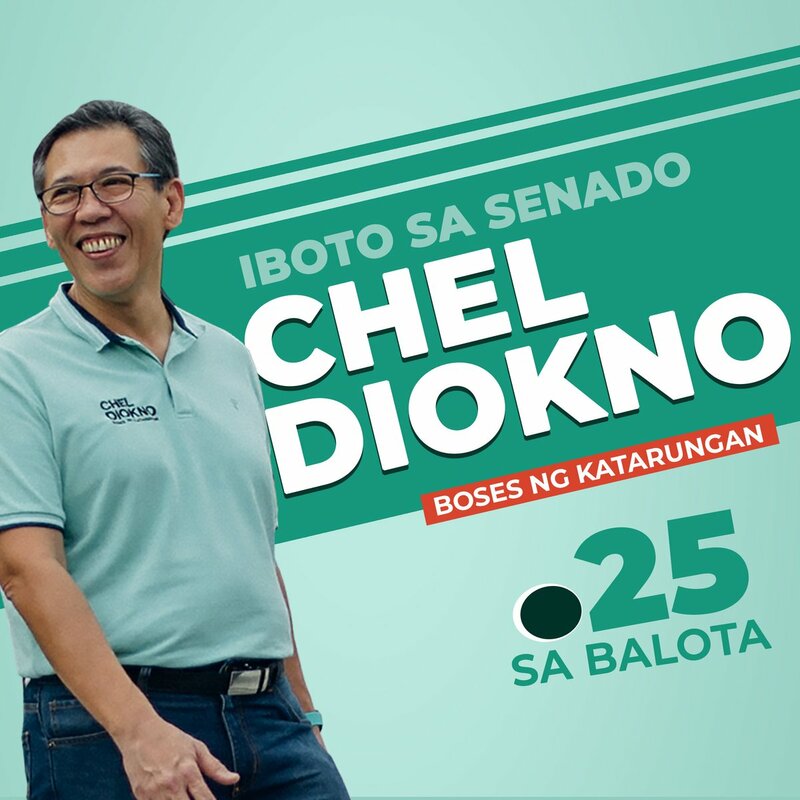 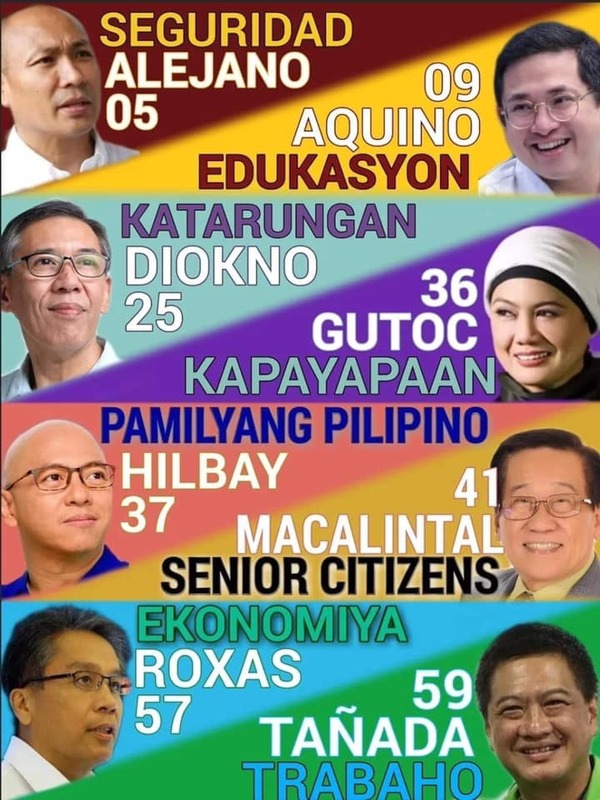 On first-come, first-served basis! 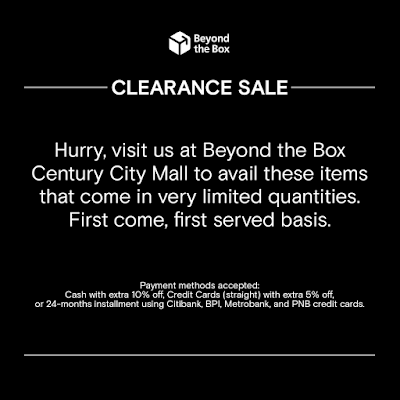 Payment methods accepted: Cash with extra 10% off, Credit Cards (straight) with extra 5% off, or 24-months installment using Citibank, BPI, Metrobank, and PNB credit cards.